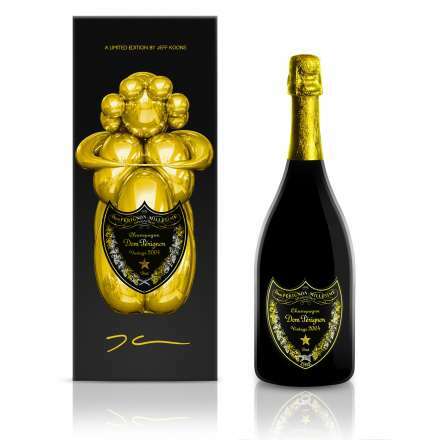 Dom Perignon 2004 75cl - by Jeff Koons Dom Perignon 2004 Vintage Champagne Jeff Koons Limited Edition is the latest Limited Edition collaboration for the 2004 Dom Perignon. Inspired by the Venus of Willendorf, a tiny paleolithic figurine dated to around 23,000 BC, Jeff Koons Balloon Venus proposes a new kind of idol: a modern day goddess of love who embraces her beholder in reflective curves. The 2004 Vintage has been declared a Vintage of note “The weather was nearly perfect in 2004,” says Richard Geoffroy, Dom Pérignon’s Chef de Cave and was a year that “rolled effortlessly by” an ease clearly demonstrated in the resulting Vintage 2004. “The growing and fruit ripening periods went by smoothly, with no difficulties - a phenomenon that we have rarely, if ever, seen before” explains Geoffroy.